Kings Point Suncoast in Sun City Center offers convenience at its best – everything you need is within a short 5-minute drive from the main gate. Walmart, Home Depot, major grocery stores, banks, a hospital, doctors and drug stores are all located within surrounding Sun City Center retirement communities. 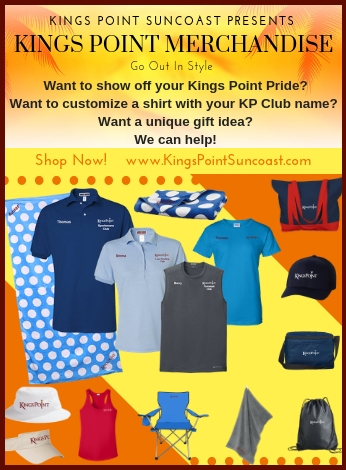 From Kings Point Sun City you can be on I-75 or at major shopping malls and area attractions in the nearby Suncoast cities of Tampa, Sarasota, St. Petersburg, and Clearwater. Sun City Center retirement communities are just over an hour away from Orlando, a favorite destination when the grandkids visit!